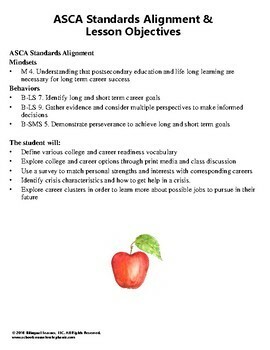 Do you need a dynamic college and career readiness guidance lesson with the career interest inventory included?!? Well, look no further! This multiday guidance lesson comes with both online and paper-based career interest inventories to guide your students in their search for the perfect career. 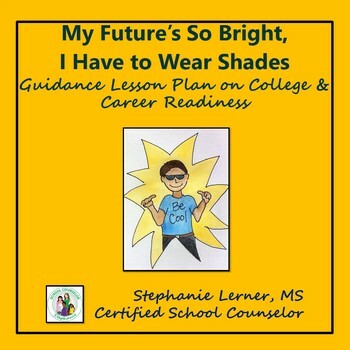 Additionally, this resource has a full lesson on everything your students need to know to start preparing for their future college experience. 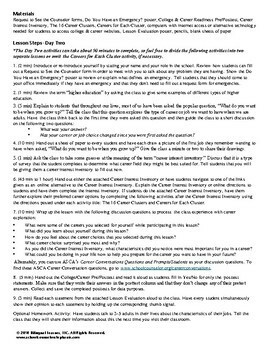 This resource includes an extensive college and career readiness guidance lesson that can be taught over 4-5 guidance lesson periods or streamlined down to one lesson. 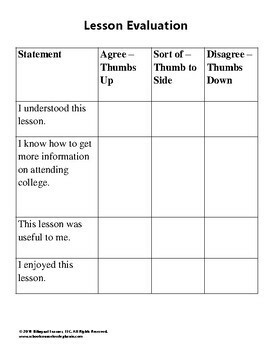 It can also be co-taught with the counselor beginning the lesson and the teacher following up and finishing the lesson. This resource includes two 90 minute lesson plans, a paper-based and online career interest inventory, website links and activities to start the college prep process, detailed information on the 16 career clusters, a college and career readiness vocabulary game, a "Do You Have an Emergency?" poster, counselor request forms, and more! This lesson is appropriate for upper elementary through high school students.